I purchased a Delonghi Kettle and double toaster to match in 2016. Within a few months the 'Chrome' trim at the base of the kettle flaked exposing what looked like plastic underneath. Returned it to the store and it was replaced. However, the replacement has now behaved in the same way. Although the replacement is under two years old, I am advised that the 2 year guarantee period starts with the original purchase, so am out of cover. Incidentally the toaster malfunctioned within it's cover period and had to be replaced. I paid £89.95 for each (£179.90) expensive lesson learned. 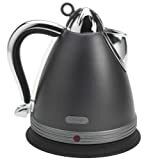 Dualit 72022 Cordless Jug 3. 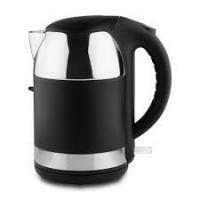 Magimix Brushed Stainless Kettle 5.